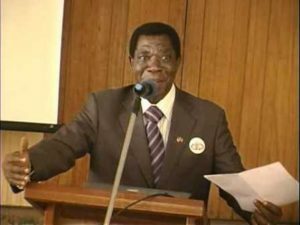 The President of the General Assembly of the Cameroon Bar Association, Barrister Nico Halle, has said in this exclusive interview he granted The Post that Prime Minister Philemon Yang has promised to do something to curb the marginalisation of lawyers in state matters. He also threw more light on the issue of the Bar’s empty coffers, which he fears may sink the association. The Post:You recently met the Prime Minister and, presumably, discussed with him what lawyers consider as their marginalisation in state matters. Barrister Nico Halle: Yes, Prime Minister Philemon Yang received me cordially, and we discussed the situation of lawyers in Cameroon. We also talked over other issues plaguing the Bar. I told the Prime Minister that lawyers are not considered in many aspects of state life, which is unfortunate. Our association has been a victim of marginalization for decades. I cited issues of investments in the country in which lawyers are not involved. Rather, fake lawyers are usually engaged to pretend to do the job of lawyers. Real lawyers ought to be invited when investors come in, to lay the legal framework for them. What was the response of the Prime Minister? It is inappropriate for me to disclose to the media what the Prime Minister said during our discussion. All I can say is that the Prime Minister took note of all the issues that I humbly raised on behalf of the Bar, and promised that he will do something. I also had the opportunity to meet the Minister of State, Minister of Justice and Keeper of the Seals, Laurent Esso, to whom I presented the grievances of lawyers. He showed a lot of concern. On behalf of the Bar Association, I addressed a correspondence to the Minister of Economy, Planning and Regional Development, raising the complaint that lawyers are not consulted when investors come knocking. I also made suggestions to the Minister on what should be done. It is six months to the end of your first mandate,what is the most sensitive issue you have handled so far? Fortunately or unfortunately, just when I and some of my colleagues were elected, we immediately faced many challenges. There was the controversial issue of French which was introduced by the then Northwest Attorney General in our courts in that part of the country. That raised a lot of agitation among litigants and lawyers. In the face of that situation, I did just what I love to do by very peaceful nature, dialogue. I called the Attorney General and we agreed to have a meeting. The President of the Bar Council, Barrister Jackson Ngnie Kamga, accompanied me to Bamenda. Then we travelled to Buea because the same problem of language had been identified in the Southwest Region, precisely at the level of the Administrative Court. We had exchanges with the President of the Southwest Court of Appeal and the President of the Administrative Court. Both in Bamenda and Buea, we agreed that French should never be the language of communication in our courts in the English-zone; otherwise we will be disrespecting the Constitution while jeopardising the interest of litigants. How did the Minister of State in charge of Justice react to the issue of French language being imposed in the courts in Bamenda? The Minister played a key role in resolving this burning issue. In fact after that the first meeting I arranged with the Attorney General in Bamenda, there was a second meeting which was held on the instruction of the Minister of State, to which I was invited. That meeting was not publicised and so many people did not know. Minister Esso sent a high-powered delegation to Bamenda led by the Secretary General in the Ministry of Justice, Justice George Gwanmesia. The Director of Judicial Affairs in the Ministry was part of that delegation. After a meeting with the Attorney General, we also met the President of the Northwest Court of Appeal. After the Bamenda meetings, Esso methodically transferred the French-speaking Attorney General and replaced him with an English-speaking Attorney General. A few months ago you visited the Meme Lawyers Association, MELA, as well as the Fako Lawyers Association, FAKLA. Why only these sub groups? If the President of the General Assembly of the Bar had the means, he would be visiting lawyers in all our 10 regions as many times as possible, to have exchanges with them. Yes, I visited FAKLA which is currently headed by Barrister Felix Agbor Balla, and MELA whose current President is Barrister Philip Awuta. Meanwhile during one of our trips to Bamenda, we also visited the Northwest Lawyers Association, NOWELA, currently headed by Barrister Harmony Bobga. FAKLA, MELA and NOWELA are units that have officially made their existence known to the Bar, and the Bar recognises them. Also, I think that even though these sub groups are created on the ticket of professionalism, the social aspects of these groups are to be encouraged. The truth is that the social aspect of our profession is lacking at the national level with the Bar Association. Lawyers should not only meet in court or at the burial of a late colleague. Lawyers are supposed to have a forum to socialise; a forum to fellowship; a forum for recreation. What advice do you give to your colleagues at the leadership of the Bar, as well to the leaders of units like MELA, FAKLA and NOWELA? First, that there be transparency and accountability. My advice has been directed to those in leadership positions in particular, and to all lawyers in general. In my message to members of the Bar Association as well as to MELA, FAKLA and NOWELA, I preach transparency and accountability, whose lack often creates problems in many associations in our society. The resources of the Bar Association or the sub groups belong to all members of the different structures, and not to the executive members of these structures. Any financial resources of an association that is not managed in the interest of the group, is money misappropriated or stolen. So, in order to institute transparency and accountability in the running of the Cameroon Bar Association henceforth, I have opened a bank account for the General Assembly of the Bar. For any franc to be withdrawn, there have to be two signatories – the Vice President and President of the General Assembly. At the beginning of your mandate, you complained that the coffer of the Bar was empty. What is the present situation? The coffer remains empty. The problem has not gone away. In fact, the situation is very bad. Each time that I and my vice ask for funds to do one thing or the other, the Batonnier indicates that the coffer is either empty or that the little thing available is grossly insufficient. The issue has been very detrimental to the execution of some of my missions. Therefore, often I have been forced to personally shoulder the financial and material burden of carrying out Bar activities. For example, all the trips I have made to Yaounde and elsewhere in my capacity as President of the General Assembly, as well as journeys I have made to represent the Bar, have all been done on my ticket. Let me however make it abundantly clear that the problem is not with the Batonnier. The fact is that the coffer of the Bar is empty. So the lawyers are still not paying their annual Bar dues? A few lawyers have been paying their dues. But most have not been paying their Bar dues. Some lawyers have not paid their bar dues for three, four, five, six years or more. In fact, there are cases of lawyers who have not paid their dues for as many as 10 years. Just imagine! You cannot run the Bar without funds. Let me seize this opportunity to make a clarion call to my colleagues who have not been paying their Bar dues, to check their consciences and pay their dues otherwise our Bar Association will sink. I also urge senior lawyers nationwide, to please make sacrifices to save the Bar. The Bar is all that we have, and we can’t let it sink. After your mandate expires in six months, is it true that you will not run for a second mandate? When I was massively elected, I told my colleagues that while our internal rules and regulations (organic law) allow for a second mandate, I would serve only one term. That is it. I started work on the very first day. I will continue to work hard, so that in February 2017 when I expect to handover the baton to my successor, I would, by God’s grace, have executed the blue print that I came up with after my election. To me, it is not how long one is in office that matters, but rather what one does while in office. The Bar Association has more than 1,500 full-fledged lawyers and members. So there are many lawyers who can also serve, and perhaps even better.